Barcelona has enough things to keep your holiday on a high level. Fortunately, in addition to all your holiday expenses, this city has a plenty of free activities and sights, where you can save easily your money. 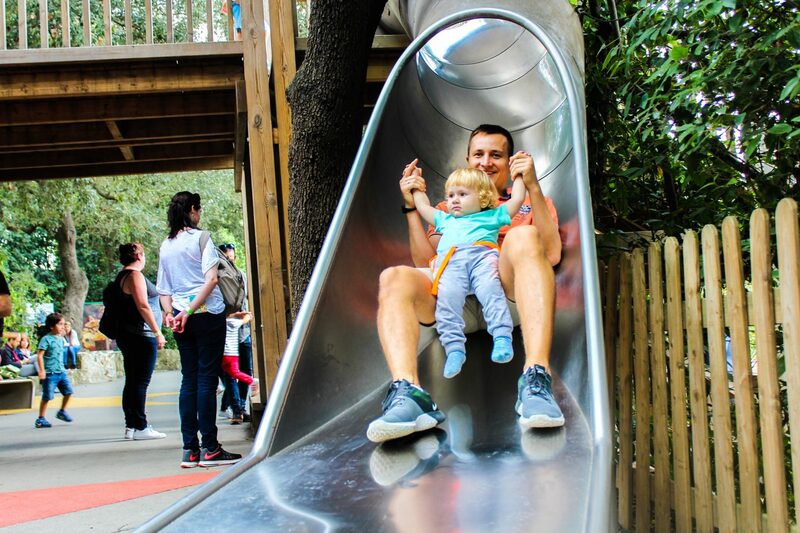 In addition to the free activities, you can also save on transport by investing in a T10 travel card, which allows you 10 journeys within the city on any form of public transport. 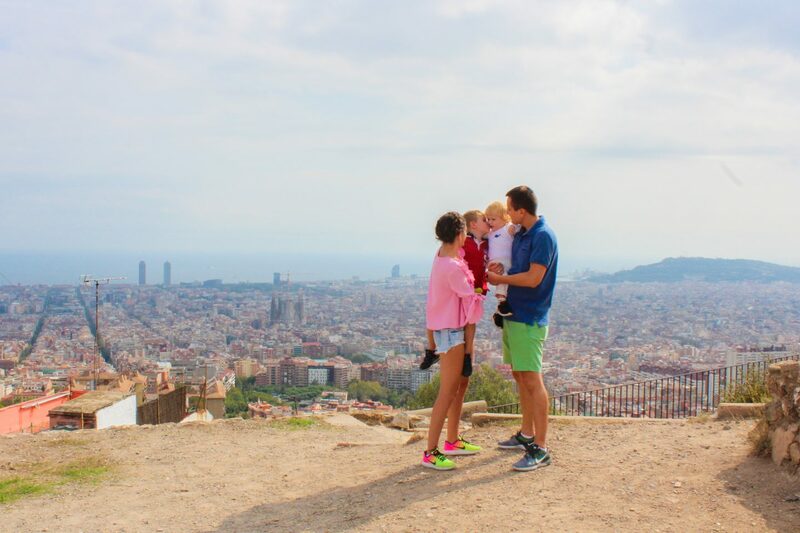 Let´s jump in to the top 5 free things to do in Barcelona with your kids. See the city from the top. For view lovers and for great pictures over the city there are 3 main places, that we love going there and watch the city and sea. – Carmel Bunkers. As being expats here, this place we discovered recently, almost 1 year ago. The Carmel Bunkers, at the top of the Turó de la Rovira hill, are a free open space. They were built as anti-aircraft bunkers during the Civil War in 1937, and afterwards the ruins became shacks, which were removed for the Olympics in 1992. 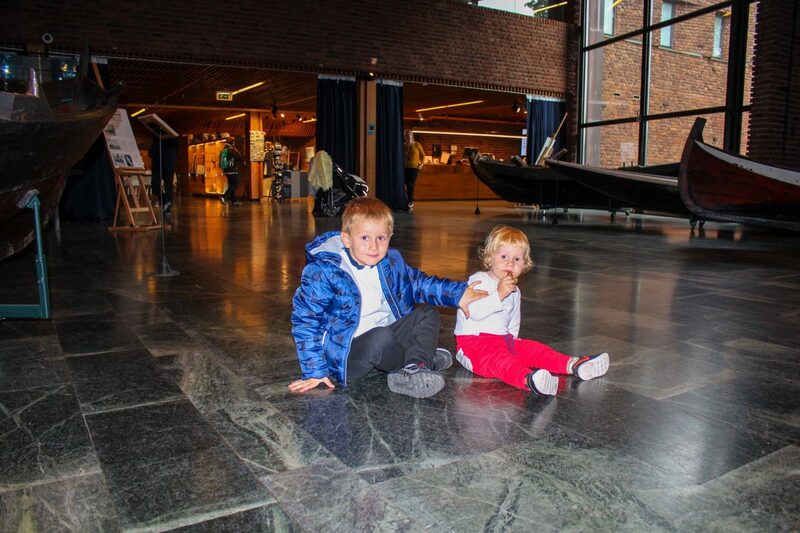 Now part of the city’s Museum of History, they are a free open space with panoramic views. 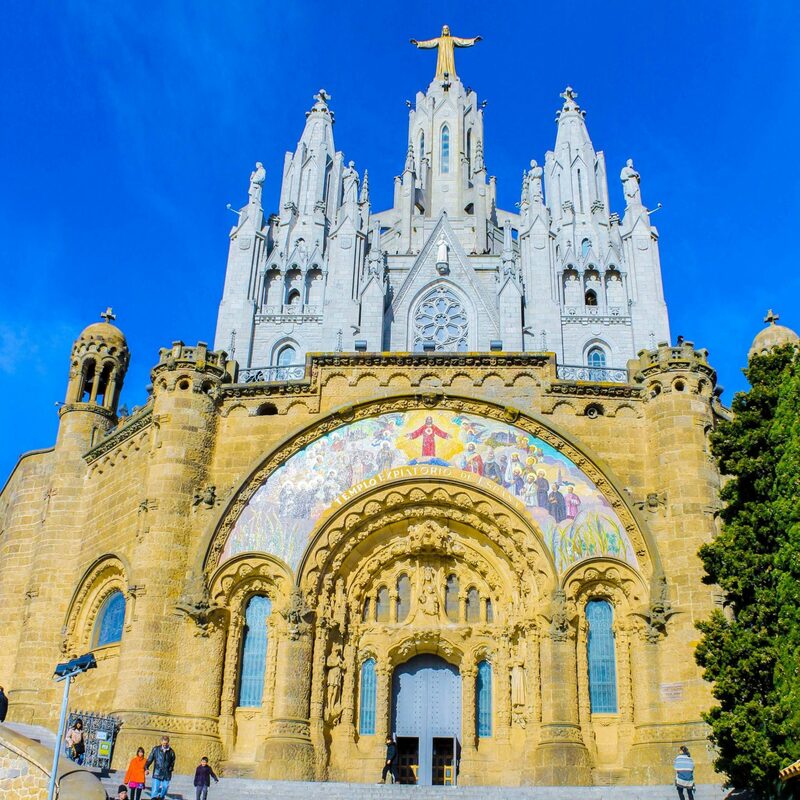 The Carretera de les Aigües is a 10km trail along the side of Tibidabo, the mountain on the north-western edge of the city. Carmel Bunkers offers breathtaking views over the city and the hills. 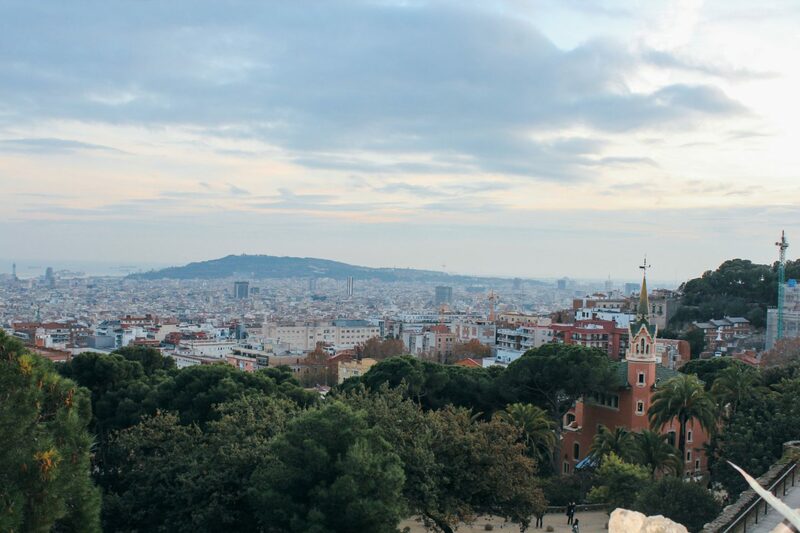 – Park Guell. Gaudi’s spectacular creation is something out of a fairytale, with Hansel and Gretel houses, ornamental dragons, and leafy plazas to take a rest. It is still one of the best things to do in the city almost for free. Central part of the park has an entrance fee. To get here use the metro to Vallcarca and then the escalators up to the back of the park – then you’ll see it all downhill at a stroll. – Tibidabo. Mainly this park is an amusement park for kids. Even though, it is the perfect place to take some pictures of the breathtaking views over the city. Many of the attractions are very tame, but there’s a relatively new rollercoaster which darts through the surrounding countryside. – Visit Cathedral. La Catedral is in the heart of Barri Gotic and is impressive outside as it is within. Free entry in the morning and late afternoon makes it worth venturing inside to take in its soaring domed ceilings, pillars and cloister with courtyard of palms. – Get lost in Barri Gotic. Get lost in the medieval quarter of Barri Gotic. Strolling with kids through cobblestone alleyways lined with bars and quirky shops and dotted with quiet little plaças. – Visit Plaça Reial. Plaça Reial is located close to Las Ramblas. Here you can see first piece of commissioned work of Gaudi for the city – lamp-posts featuring coiled dragon-headed serpents leading up to a winged helmet. You can take some rest in any of the bars located right there. – La Rambla. This place is the most crowded in the whole city. Even though, no visit to the city is complete without a stroll down this famous and wonderful boulevard. It starts at Plaça Catalunya and stretching down to the port. Las Ramblas is full of flower sellers, animal stalls, painters, artists, human statues and street performers. A must for everyone. – Discover graffitty of the city. Barcelona’s graffiti can be found mostly in El Raval and Poblenou. The place where artists can show their work and be proud of, it is spectacular. – Beaches. 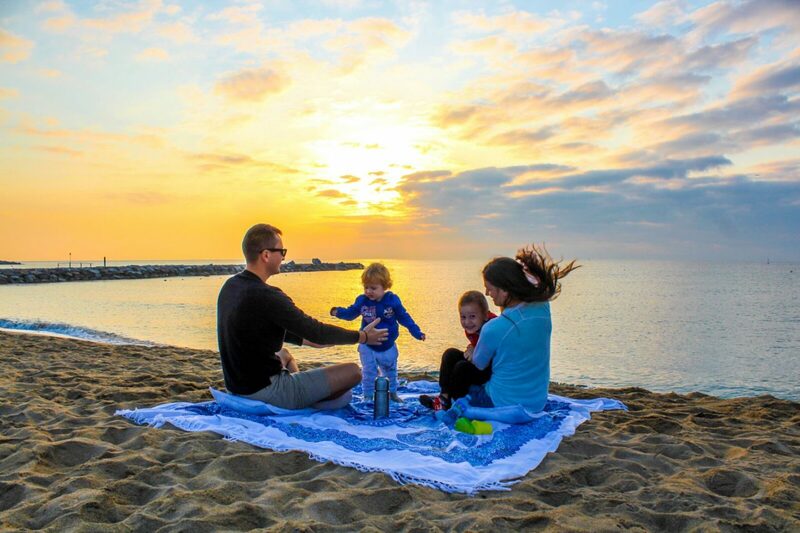 Local people usually do not go to the beaches of Barcelona, and prefer Costa Brava. However, the city’s beaches are great for an urgent dip. 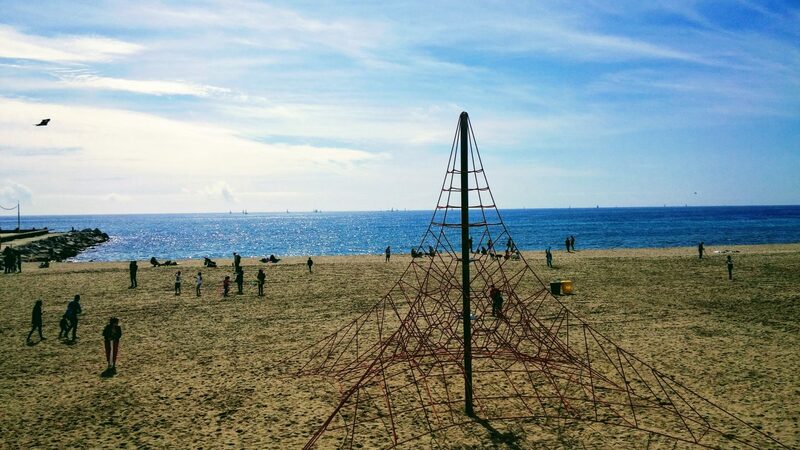 The popular Barceloneta beaches have a lot of tourists. On the other side of the Olympic Port, it’s a bit quieter and perfect for a walk in the winter time. Barceloneta is the most popular one. 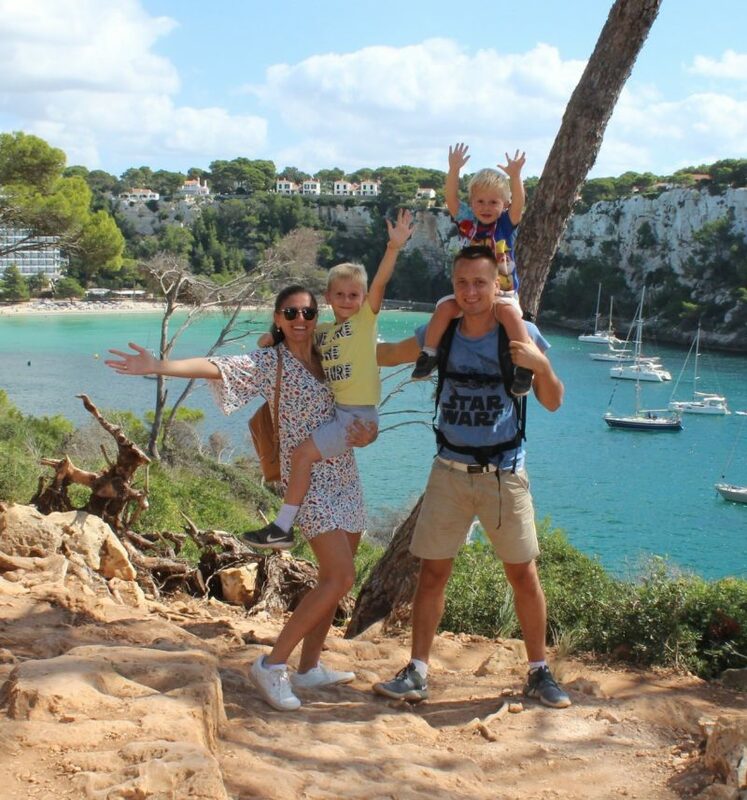 For something less crowded, walk further north towards the Fòrum area. – Park de Ciutadella. Parc de Ciutadella is on the site of an old military citadel – hence. The name – and has a lake and zoo, and houses the Catalan Parliament. It is the perfect place to go with kids and take a rest of the crowded city. Kids will enjoy this time for sure. – Parc Joan Miro. Parc de Joan Miró is home to his epic 22m-tall Woman and Bird sculpture covered in primary coloured glazed tiles and rising dramatically from a sparkling pool. There’s also a Miró mosaic in the central walkway of La Rambla and another displayed unexpectedly on the outside wall of Terminal 2 at the airport. If you are an art seeker this place is for you. A plenty of museums in Barcelona have free entry every Sunday after 3pm: the Picasso Museum, the Museum of History of Barcelona, CCCB. Also free on first Sundays is the National Museum of Art of Catalonia for medieval and modernist art and other museums. Others are also free on one given day of the month, often the first Wednesday or Sunday – check individual websites for details. Next Post Discovering Italy, Turin with 2 kids. Wow! Barcelona is my love! I spent there wonderful days. A beautiful city! Thank You! We are happy that you liked the article. More blogpost just to come about Barcelona.